I've added a lot of new pictures to In the Mixx today! Check it out :) I've also got a lot of more fun giveaways coming up soon...my favorite is one thanks to Captiv. In the mean time, enter the Vanessa Mooney giveaway below! THANK GOODNESS IT'S (almost) MAY! What does that entail for me? Only one more month of school, AP testing (yikes...US History anyone? ), the start of lifeguarding (YAY! ), springy outfits, final exams, my last month as an underclassmen, and LOTS more! I can't wait for summer--I've got so much planned in terms of the blog. And obviously I'm so sick of school. I can't wait to just relax by the pool and, you know, casually save a life or two. Just kidding. I know I've told you this before but I'll tell you again...the closest I've ever come to saving a life as a lifeguard was giving a kid a bandaid. Very stressful, very stressful. I know, summer is coming so quickly! I'm looking forward to it as well. We need some relaxation time so bad!! 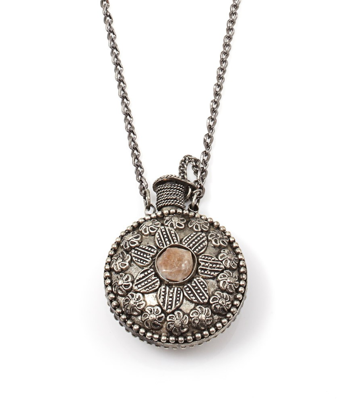 The cheetah belt and cool necklace add a perfect touch to it as well! I love the red and pink together. It's a bit of an odd combination but it's perfect in this outfit. Especially with the leopard belt! You look lovely. Gorgeous outfit! That skirt is stunning! 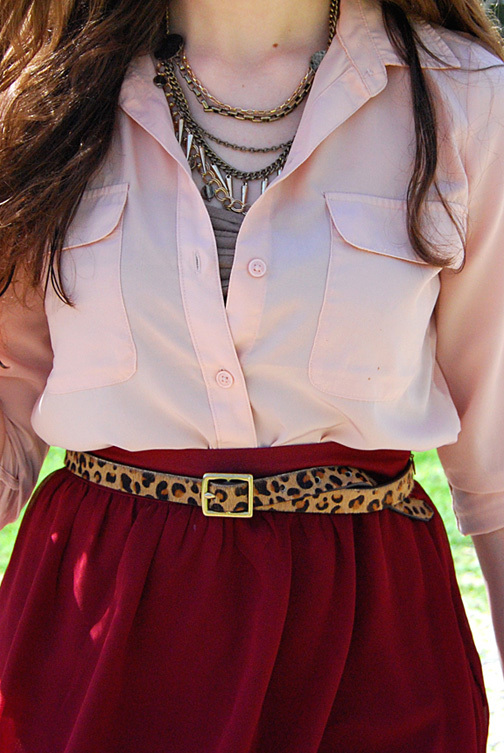 Love the burgundy skirt and leopard print belt! Beautiful outfit! We like your style! I really love the shirt you are wearing! Great color and cut! Gorgeous pictures! Love your skirt! The color is gorgeous and the asymmetric cut is my favorite :) perfectly styled, just found your blog and I'm totally following you now! I really love your skirt. It's a great color on you. I'm loving the high-low skirt trend and yours is spot on! Awesome styling on this outfit.